Who wants to eat guilt free bread and in the same time loose weight? 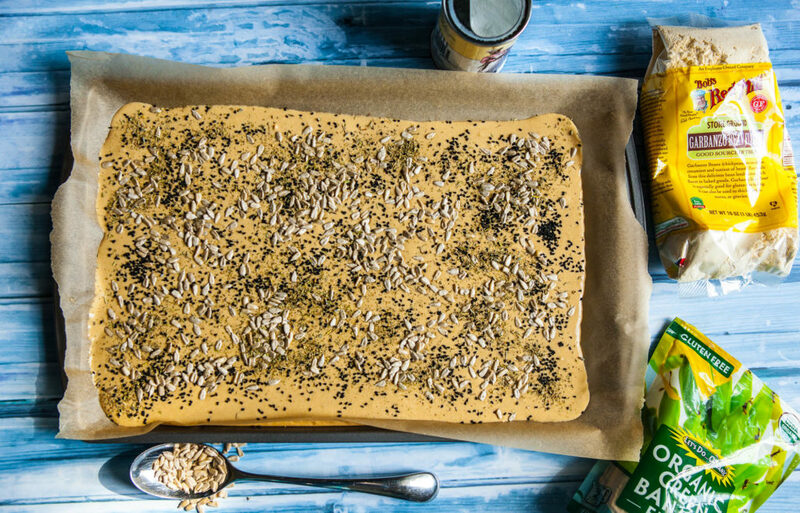 You can eat this bread because it’s made of fruit, beans, nuts and even veggies! 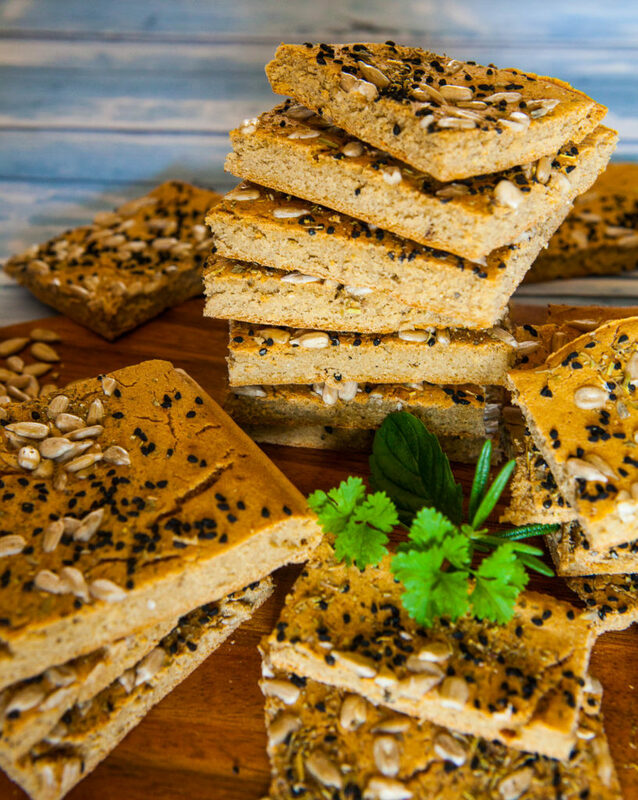 Olenko’s Kitchen Gluten Free Chickpea Flour Flat Bread is a great alternative for those who can’t eat gluten. 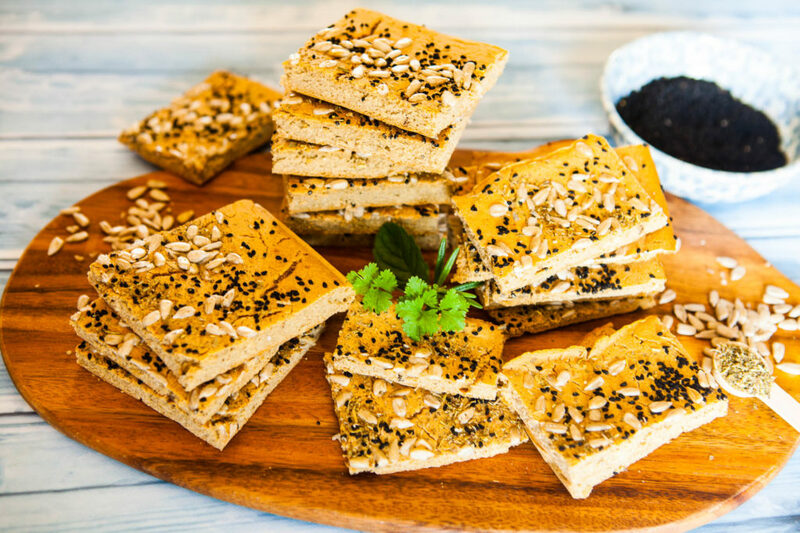 This yummy bread is so easy to make, tastes delicious and can be used to make sandwiches, you can eat it with salads or soups, or you can even use it as a base for your favorite pizza. Possibilities are endless. 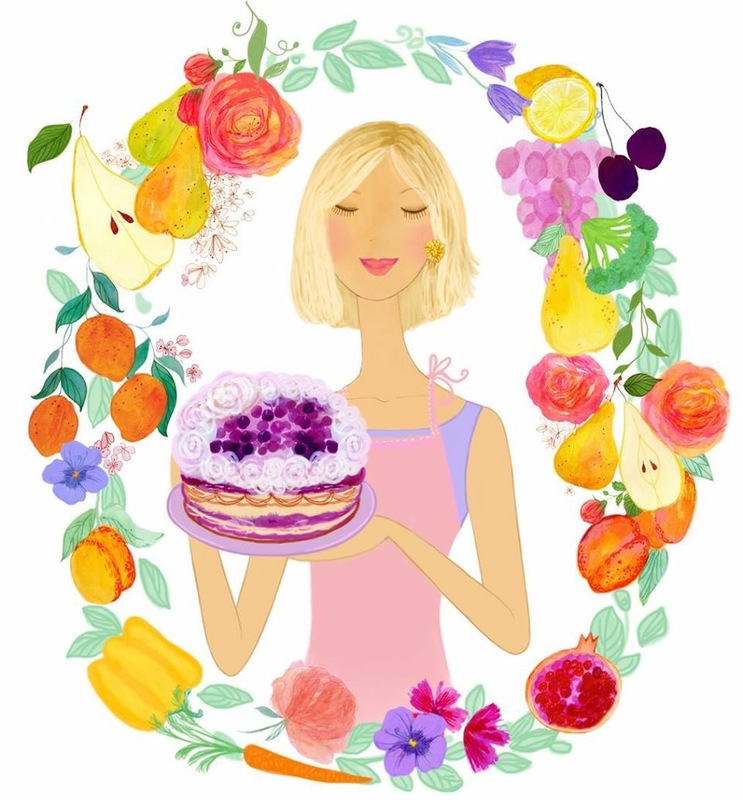 The popularity of gluten-free, grain-free, Paleo, and low-carb diets has recently propelled alternative flours into the spotlight. 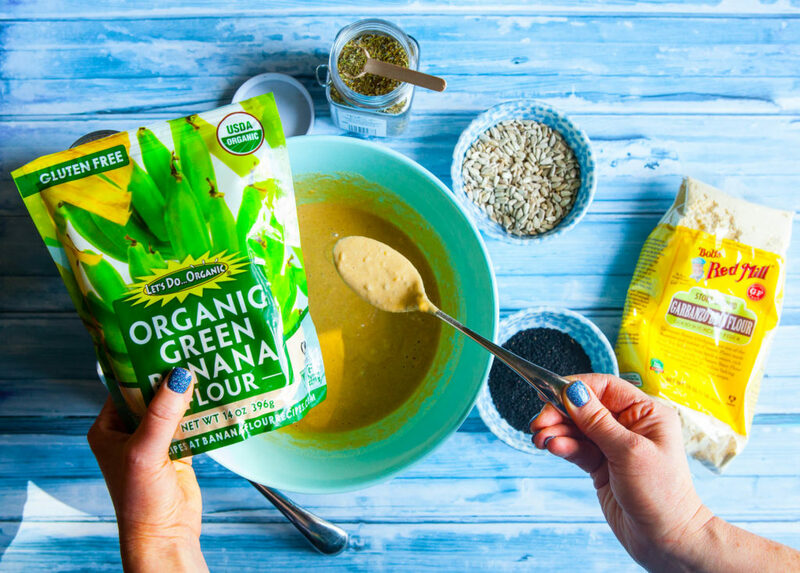 Not only is green banana flour an excellent substitute for more traditional baking options, but it’s also rich in potassium and magnesium. It contains resistant starch, which acts more like a healthy fiber than a carb, helping you to feel fuller for longer. To make it, organic, young, unripe bananas are picked, peeled, and dried at low temperatures to preserve the nutrients. 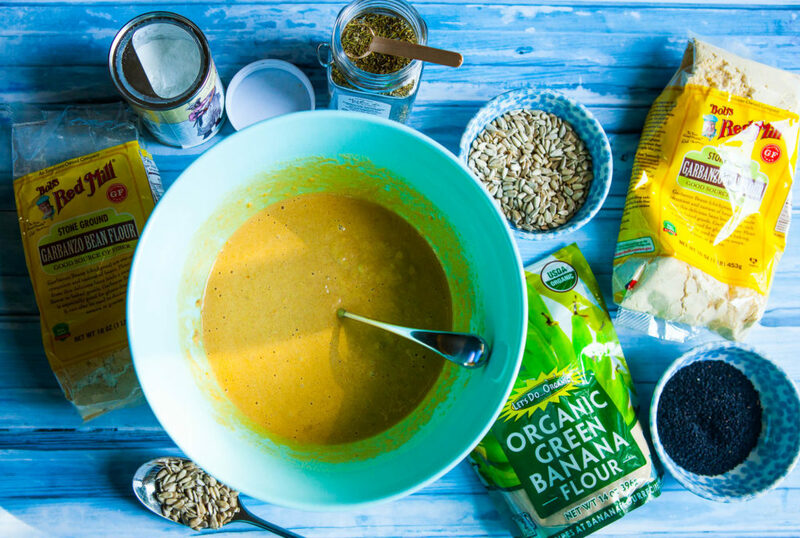 Green bananas are specifically used because their sugar content hasn’t yet fully developed, giving this flour a mildly sweet taste that’s perfect in any gluten- and grain-free recipes. Why You Should Swap In Chickpea Flour In Your cooking or baking? Chickpea flour is nothing more than dried chickpeas, ground to a flour-like consistency. Other names for chickpea flour include gram flour, cici flour and garbanzo bean flour. Besan is chickpea flour made with unroasted chickpeas. Chana is flour made from roasted chickpeas. Even though it’s naturally gluten-free, flour is easily cross-contaminated if it’s produced or used in close proximity to wheat flour. 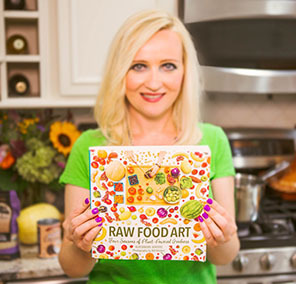 Look for a gluten-free statement on the package, which means it complies with U.S. Food and Drug Administration standards for gluten-free products. 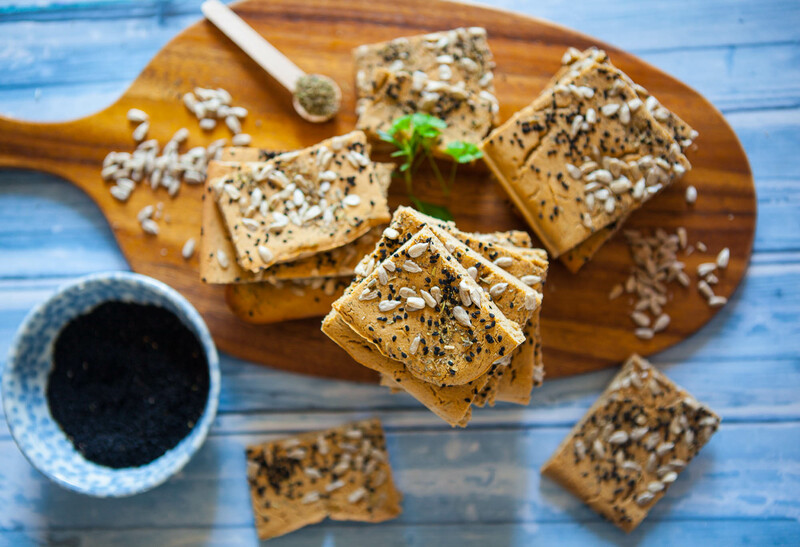 One cup of chickpea flour contains 356 calories, 21 grams of protein, 6 grams of total fat and 53 grams of total carbohydrates, according to the USDA Nutrient Database. It has fewer calories and carbs than either whole-wheat or all-purpose white flour, yet it’s a better source of protein. Chickpea flour has double the amount of protein than whole-wheat flour and six times more than all-purpose flour. It’s an excellent source of folate, containing seven times more folate than whole-wheat flour. It even has more folate than enriched all-purpose flour. It also provides vitamin B-6, iron, magnesium and potassium. You can add sunflower seeds, pumpkin seeds, chia seeds, flaxseeds, or even oats if you can eat gluten. You could also add your favorite spices or herbs. I have tried it with zucchini, sun dried tomatoes, carrots, beets, or olives. So many yummy options. For oil free version don’t add any oil, it tasted fine too. Just experiment. Preheat your oven to 425- 400 F. Mix the ingredients in a large bowl or food processor. When smooth and without any clumps add your favorite toppings. 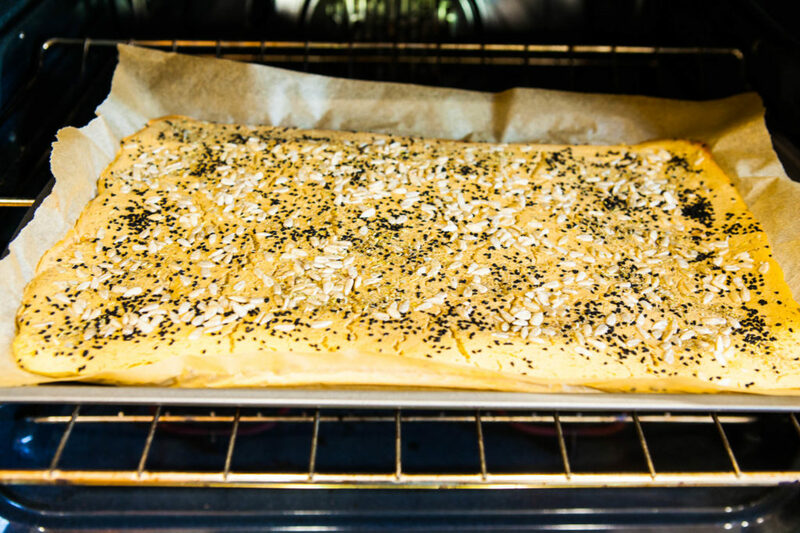 Carefully transfer a mixture to a flat baking dish that you lined up with a parchment paper. Bake the bread in the oven on a 400F for about 30-40 minutes depending if you like your bread crunchy or softer.